City paid Fiorentina £22million to secure the Montenegro international's services in the summer of 2013 but Jovetic has only managed to start 11 Premier League matches for Pellegrini's side in the last two seasons. He did also make 19 appearances from the substitutes bench but his record of just eight goals was not good enough for the City boss. I wish him the best for the future and I'm sure he'll be a very important player for Inter. 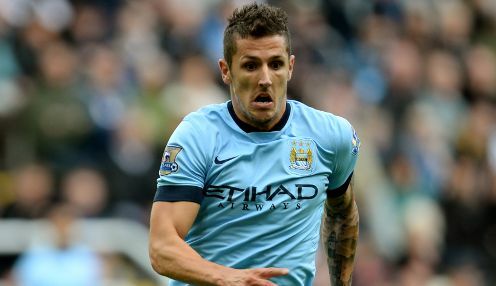 Jovetic will undergo a medical with Inter Milan on Tuesday, with Pellegrini telling City's official website: "Unfortunately, Stevan had to go. He's a very good player - one of the best players I have seen - but for him he had too many injuries and that's why he couldn't play too many games in a row. Meanwhile, Raheem Sterling scored twice as City thrashed Vietnam 8-1 in their latest pre-season friendly. Aleksandar Kolarov and David Silva also scored braces while Marcos Lopes and Jose Pozo grabbed the other goals for last season's runners-up, who are 1/1 to win the 2015/16 Premier League title outright.